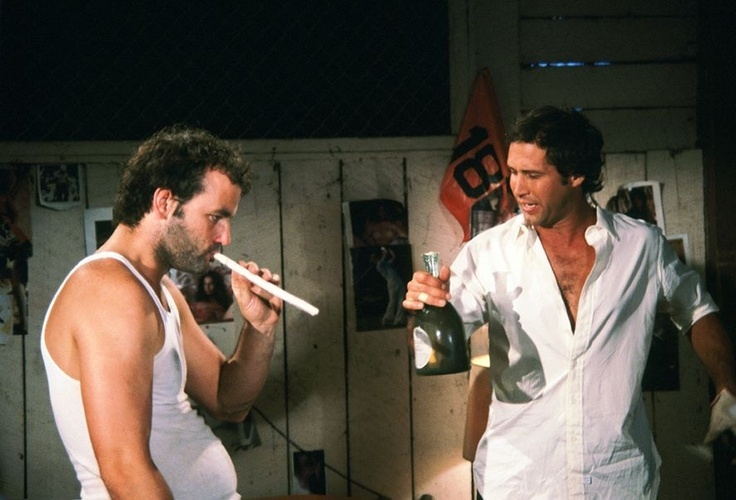 A story about Chevy Chase and Bill Murray’s mission to find weed one night in the late 70s. In a documentary about the National Lampoon magazine, Chevy Chase tells all about the time that he and Bill Murray went looking for ganja together. The pair were involved in more than just one comedy project together in the USA, and despite their differences managed to stay good friends. In fact, after their backstage outburst on Saturday Night Live, they even became friends who smoke together. Drunk Stoned Brilliant Dead is the name of the National Lampoon’s hilarious documentary that covers the politics, religion, entertainment and lifestyles of all the comedy it has accumulated over the years. In a deleted interview with Chevy Chase recorded for this documentary, he tells about his and Bill Murray’s hunt for marijuana one night. Watch the deleted scene from National Lampoon’s documentary below, and hear what it was like buying weed for these two comedians back in the 80s. Bill Murray was on a desperate hunt for some weed that night in the late 70s or early 80s, and Chevy Chase was up for the mission. According to Chevy Chase, they wondered on a couple of doors down from Chase’s apartment to buy some weed from Rodney Dangerfield. But Chevy Chase says that the sandwich bag that was sold to them was completely full of seeds. And they did smoke the big old bag of seeds that were sold to them! 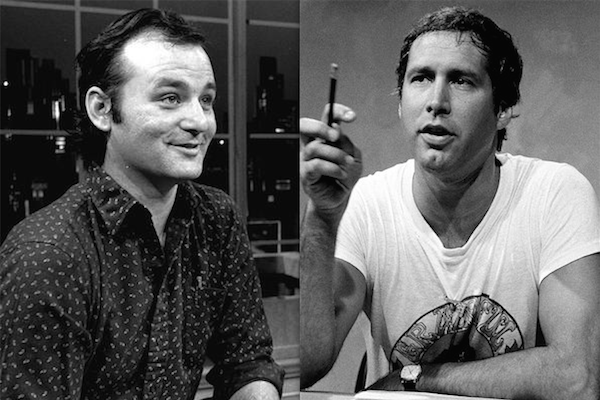 Despite the fact that Bill Murray and Chevy Chase were very good friends during their careers in comedy, it didn’t start off that way. The two were working on Saturday Night Live and contributing to other projects that were being run by the National Lampoon. In the Autumn of 1979, the two were involved in a famous backstage brawl, just minutes before Chevy Chase was meant to go on air live in New York. Chase had just made a return to Saturday Night Live after leaving the show to work on some solo movies. It seems that after this event, the two, in fact, seemed to become good friends. They were working together on many different comedy projects, and finally found themselves co-starring a comedy film together. They were both on the cast for Caddyshack, after which it seems that the two were quite good friends. What do you think about Chase and Murray’s marijuana mission? Let us know your thoughts on our social media or in the comments section below.